If the body’s immune cells go on interfering with healthy cells, it could trigger serious health problems. Diverse diseases such as Alzheimer’s, diabetes, stroke and cancer are said to have a link with inflammation. What’s worse is that the person suffering from a chronic inflammation might not even be aware of the situation. Belching, or releasing gas from the digestive tract through the mouth can help with chronic Inflammations. Ginger helps in preventing the formation of excess gas in the body–it can be taken as food flavoring or supplement, or with tea. Apple cider vinegar also helps with the same, just add 1 tablespoon of it to water and drink the mixture after having food. Bloating: Apple cider vinegar prevents the formation of excess gas and helps in bloating. Mix it with water and take it after eating. Burning skin: Oysters, eggs, fish, mushrooms are high on Vitamin D, which prevents burning of the skin. 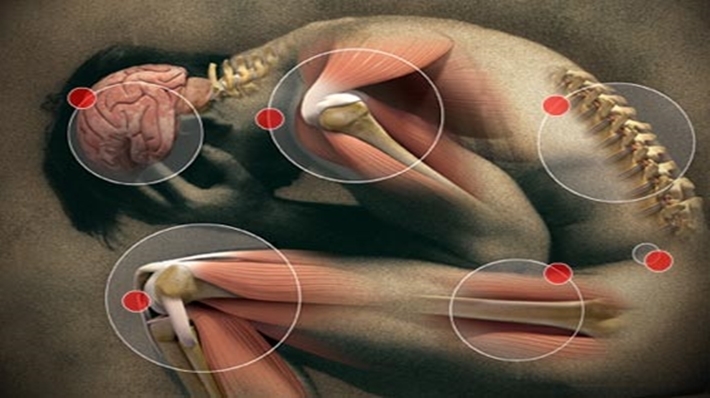 Burning symptoms can also be relieved by fish oils that have an anti-inflammatory effect. Topical application of aloe vera also helps in burning that result from inflammation. Constipation: Take 1 tbsp of coconut oil to combat constipation. Alternatively, take 1 tbsp of olive oil and mix it with tea, coffee or juice–it will lubricate the system. Sore throat & Cough: Honey as antiseptic and anti-bacterial properties. Mix 1 tablespoon of honey in hot tea or water or prepare a honey syrup. Chewing on raw garlic also helps. Another remedy is gargling with salt water mixed with a few drops of oregano oil. Cramping: To relieve cramps, mix 1 tablespoon of activated charcoal in water. Or, mix 2.5 tablespoons of apple cider vinegar into water along with raw honey. Dark eye circles: Probiotics such as yogurt are known to relieve under eye circles and bags and make the immune system strong enough to resist allergies that cause them. Another home remedy includes rinsing and chopping mint leaves and placing under the eyes for 15-20 minutes and moisturizing the area afterwards. Diarrhea: Yogurt, pickles, kefir, kombucha are probiotics that can cure diarrhea. Alternatively, probiotic supplements can be taken. Fatigue: The biggest cure for fatigue is meditation as it leaves a person vitalized and helps in getting a sound sleep. A good 7 to 8-hour-long sleep, in turn, helps in boosting energy levels. It is also recommended to take short naps for 15 minutes. Chills & Fever: A good remedy to combat chills is cayenne pepper, which can be sprinkled into hot tea or food. Mixing a pinch of turmeric in milk helps relieve fevers. A person suffering with a fever can also add honey in hot tea or water for relief. Headaches: Intake of excess sugar can lead to headaches as the body struggles to dilute all the sugar. This also leads to dehydration. To gain relief from headaches, a cucumber and a lemon infused drink should be taken twice or 3 times a day to keep the body hydrated. Itchiness in eyes: Chamomile is known to release oils that act against chronic inflammation. Placing a cold chamomile tea bag on the eyes for a good 10 minutes relieves itchiness in eyes. Hot chamomile also reduces itching. A chamomile place that is just hot enough to touch can be placed on the eyes for 10 minutes for relief. Alternatively, placing refrigerated cucumber slices on the eyes also helps. Joint pain: To promote healthy bones and relieve joint pain, regular exercising should be done. However, a doctor should be consulted to decide what exercises and what intensity is right for a person. As a natural remedy, krill oil, which is high on omega-3s, can be used to reduce inflammation. Loss of appetite: Ginger tea should be taken an hour prior to having a meal to increase appetite. Fenugreek tea and rosemary tea also help in stimulating the appetite. Ginger stimulates the appetite and even aids in digestion. Memory problems: To combat memory loss, avocados, wild salmon, blueberries and dark chocolate work wonder. They also boost cognitive function. Green tea also helps in curing memory problems. People should stay away from alcohol as much as possible as it is known to lead to long term damage of brain. 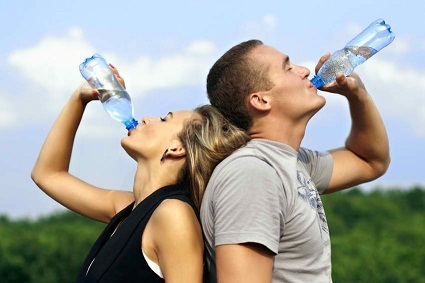 Muscle spasms: These can be a result of lack of adequate intake of water, so the body should be kept hydrated all day. Meditation and yoga also relax the muscles, thereby reducing muscle spasms. Rash & acne: Since honey has anti-inflammatory and anti-microbial properties, it relives rashes and hives. Raw honey can be topically applied to the skin to unclog pores and treat acne. Rough skin: Deficiency of Vitamin D can lead to rough skin. Getting 10 minutes of daily exposure to sun helps you get Vitamin D. However, sunscreen should be applied properly before going out in the sun. Rough skin can also be treated by taking fish oil that is high on omega-3s as it nourishes the skin. Stuffy nose: Those suffering from a runny or stuffy nose can add some eucalyptus oil to a steam bath and inhale it. Another natural remedy is drinking elderberry tea. Water retention: Parsley, asparagus and watercress are some vegetables that increase urine production, thereby relieving water retention problems. These vegetables should be consumed on a regular basis in the form of a healthy salad. Redness and swelling can result from the body’s response to infections or injuries. But when an acute inflammation turns chronic, serious problems can arise. By treating inflammation-related ailments on time, people can save themselves from a lot of trouble. If an acute inflammation turns severe and becomes a chronic, long-term inflammation, the body will send signals in the form of the above mentioned ailments. Treat them on time and protect your health.